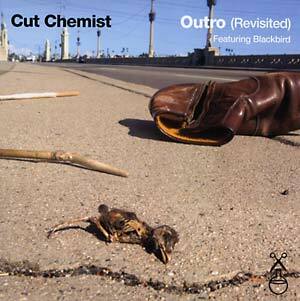 First single from forthcoming Cut Chemist album, Blackbird. "These two have come together to create a new song that delivers a much different texture than his past catalogue. 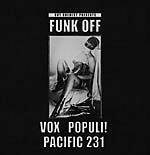 'It's much more punk than anything I've ever done before,' says Cut. 'Outro' also features live drums played by Deantoni Parks (John Cale, Meshell Ndegeochello, Mars Volta) and L.A.'s own Lonnie Marshall (Marshall Law, Weapon Of Choice) on bass. Cut as usual, blends these live instruments with samples so seamlessly that you can't tell the difference between the two. For the hip hop purist, his skills behind the turntables still play a role here as there is a fierce scratch section at the end that will please any DJ enthusiast. This maxi single also features instrumental, scratchapella and bonus beat versions of the song along with an authentic half time dub that will destroy sound systems across the globe."